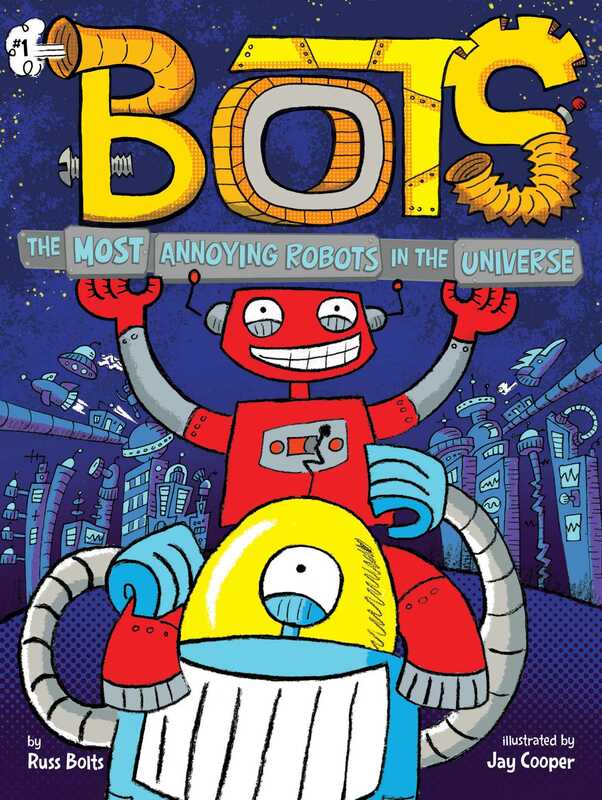 Meet Joe Bot and Rob Ot, the two most big-hearted, but goofily annoying robots in the entire universe in this first chapter book in a hilarious new series! Many years ago, scientists on Earth sent video satellites out to the end of the universe to see what was hiding in deep space. Now, years later, these satellite have begun sending their first videos back to Earth. Meet Joe and Rob, the two most big-hearted, but goofily annoying robots in the entire universe. And they’ve just found some strange video cameras that fell out of the sky. Now these two best bot buddies are recording their every adventure and mistakenly beaming it down to Earth! With easy-to-read language and graphic novel art on almost every page, the Bots chapter books are perfect for emerging readers. Russ Bolts has always loved robots ever since he was a kid. He lives in New York City with his family and builds robot stories in his spare time. Bots is his first robot series.